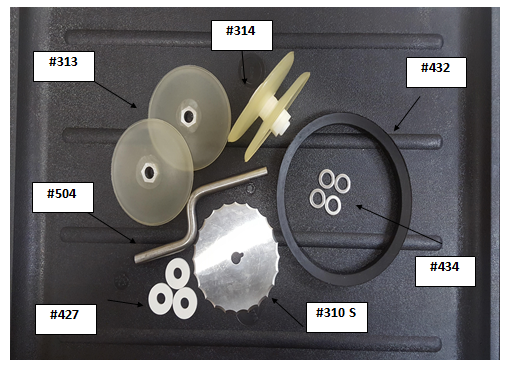 The Tune-Up Kit can be purchased as a single unit #539 or as individual pieces. The kit contains the active processing parts that show wear over time. We recommend you purchase the Tune-Up Kit at the time of your initial purchase to avoid interruption in your company's production. International customers, please consider that the addition of a Tune-Up Kit with your initial order will add virtually no shipping cost. Shipping at a later date will add significantly more in cost due to minimum weight charges per each order.